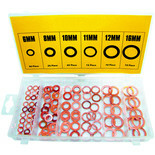 Copper washers have a many uses around the home, garage and workshop. 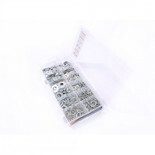 This pack has a variety of sizes suitabe for a range of applications. 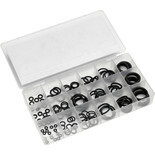 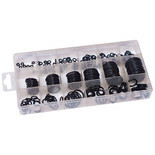 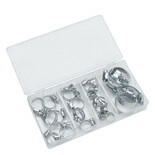 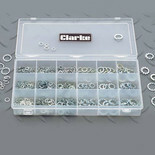 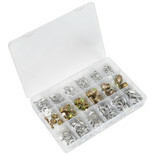 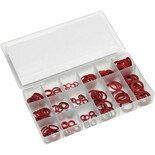 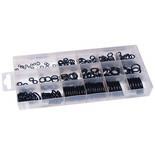 An assortment of 720 securing washers including split/spring, star, external & land shakeproof all neatly presented in an 18 compartment translucent storage box. 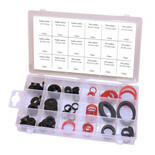 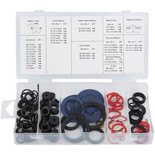 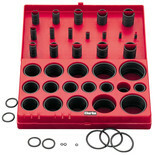 A 125 piece assorted thromoplastic set of rubber O rings. 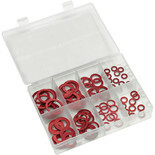 This set is supplied in a snap closed container with sizes ranging from 3mm to 22mm inside diameter. 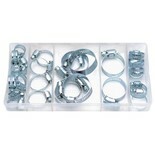 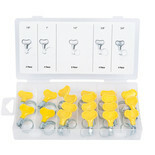 This 20 piece Key-Type Hose Clamp Assortment set is manufactured from A3 steel with PC plastic handles that allow you to tighten the clamp without any specialised tools.